An Opinion On Sports: D. J. Shockley: He Really Needs A Break! D.J. Shockley became a Georgia Bulldog in 2001 out of North Clayton High School. 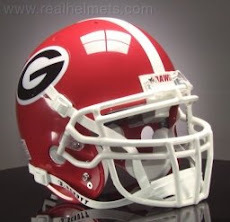 He is regarded as Mark Richt's first recruit, as this was Richt's first year in Athens and he already knew D.J. from earlier football camps. 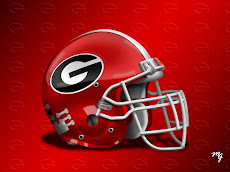 Had Mark Richt turned down the Georgia job and remained at Florida State, Shockley probably would have played in college as a Seminole. He was a highly rated prep player and could have played for any number of college programs. He was red-shirted his freshman year in 2001, and then had to play behind college football's winningest quarterback, David Greene. In his senior year of 2005, "Shock" became the starter for the Dawgs. 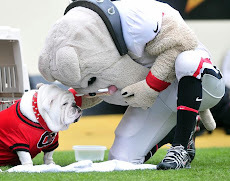 He suffered a strained ligament in the season's 7th game, but came back to play in the Dawgs 10th game. In the SEC Championship game he was named MVP. 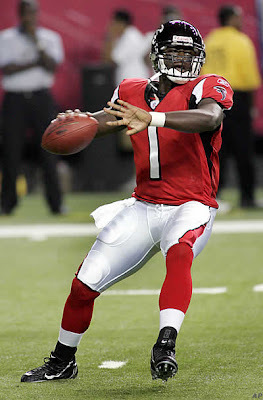 The Atlanta Falcons drafted him in the 7th round in 2006, and he made the team as the 3rd string QB. As the troubles mounted for Falcons starter, Michael Vick, it seemed as though Shockley's shot at serious playing time had finally arrived. However, a torn ACL forced him to miss all of the 2007 season. The post-high school football gods have not been kind to D.J. He really needs a break from these guys! This week he was given clearance from his doctors to return to full scale workouts with the team. He says the knee feels fine, he is comfortable with the offense, and he is ready to go. Good luck D.J.! You certainly deserve it.